There are two areas on the west side of Vancouver Island that we can be quite hairy; today was the first of those...Cape Scott. 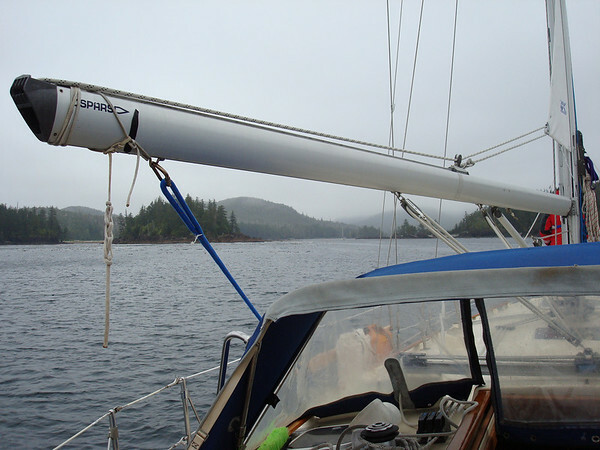 We made another 4am start from Bull Harbour so we could hit Cape Scott at about slack tide. First up, though, was getting around Nawitti Bar. Some people go over it - we decided to take the sneak route around it. Well worth it. We could see waves crashing on the bar and were quite happy not to be in the middle of that. 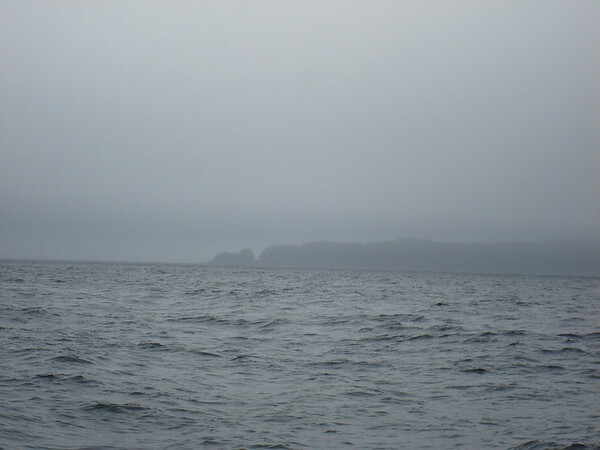 We rounded Cape Scott with some chop, but the wind was reasonable and we were happy to have found such a good weather window in such a short time. 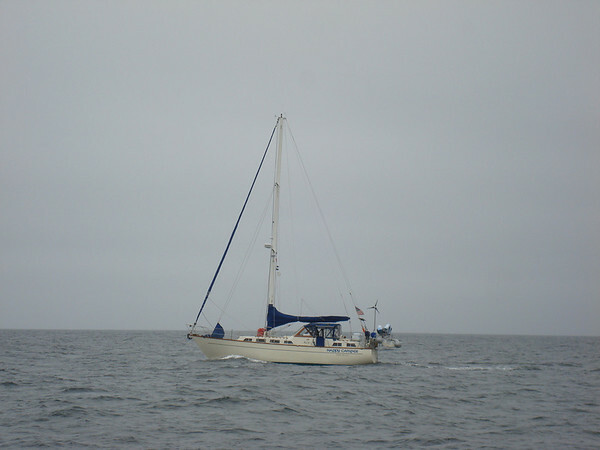 Once around the Cape, we ducked in to the first protected anchorage of Sea Otter Cove. Were there any otters in Sea Otter Cove? No. Apparently it was named for an old ship. We picked up one of the 4 mooring balls in the cove, though it would have been easier to anchor because these are not your typical mooring balls - they are hurricane strength. Good for holding, hard to pick up. But after a fair bit of drama, we were settled and spent a relaxing night. 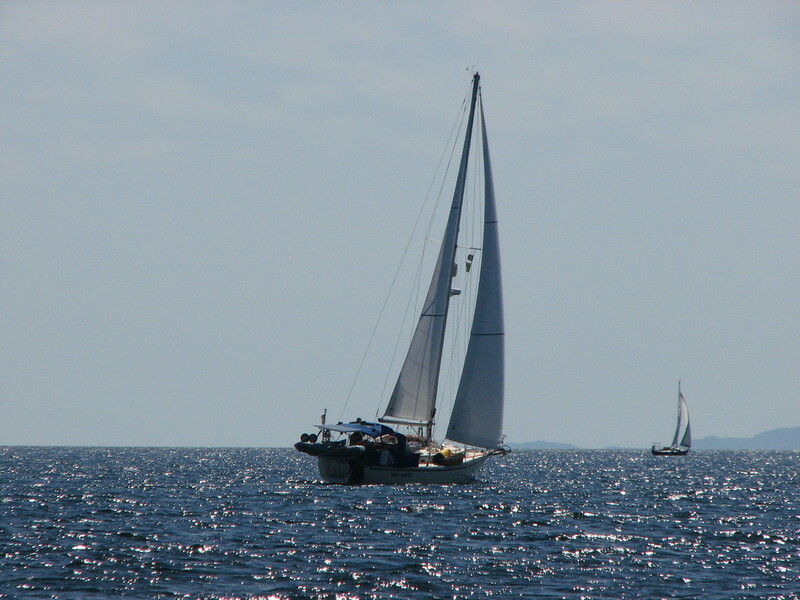 s/v Happy Camper rounding the cape. The entrance to Sea Otter Cove was narrow, shallow, and covered in kelp. High pucker factor. 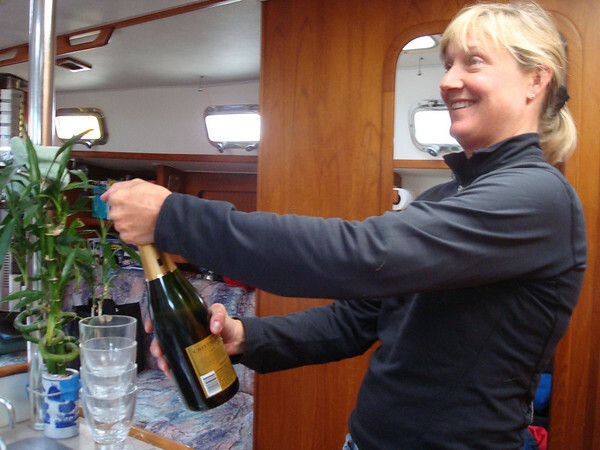 Some celebratory champagne after we made it around. 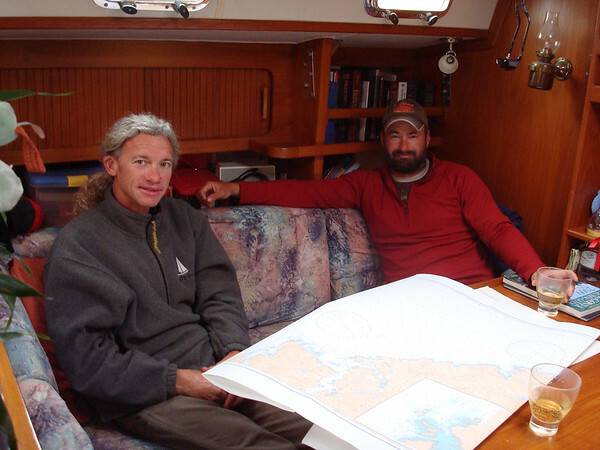 Scotty from s/v Happy Camper and Jason looking over charts for what's next. 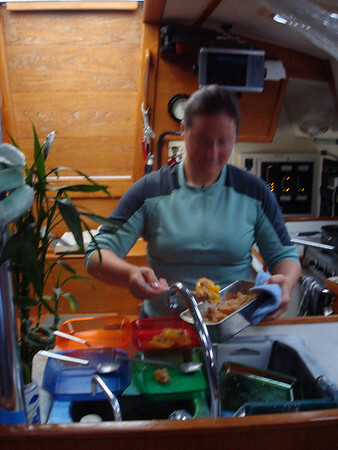 Christy serving up some celebratory peach cobbler.